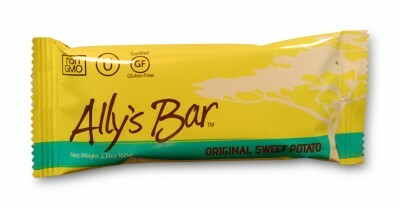 On first glance I was skeptical of the Ally’s Bar I was about to eat. It has as similar texture and look to the original Power Bar. Also, it is sweet potato based. Consequently, I was unsure on if this was a “sweet” or “savory” style energy bar. I was half expecting it to taste like Thanksgiving dinner. Thankfully my skepticism was overridden. This is one of the best tasting energy bars I’ve ever tried and definitely lies on the “sweet” side of the energy bar spectrum. 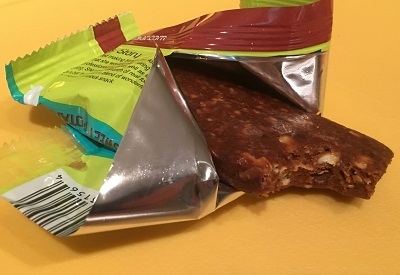 If I hadn’t known this was sweet potato based I would never have guessed so even if you don’t like sweet potatoes don’t discount this energy bar. My only complaint about this product is the low protein level – only 4g per bar. Personally I prefer energy bars that stick with me a little bit more vs providing a short term boost of energy. Ally’s Bars taste great! I’m no doctor so I can’t speak to the nutritional breakdown but these things are a win from a taste perspective! The importance of delicious food in the backcountry. This entry was posted in Activities, Brands, Ally's Bar, Activities, Alpine Mountineering, Activities, Backpacking, Activities, Car Camping, Activities, Fishing, Gear, Food, Gear, Activities, Hiking, Product Review, Activities, Resort Skiing, Activities, Sea Kayaking, Activities, Ski Mountaineering, Activities, White Water Rafting.